Welcome to the age of the incredible shrinking message. 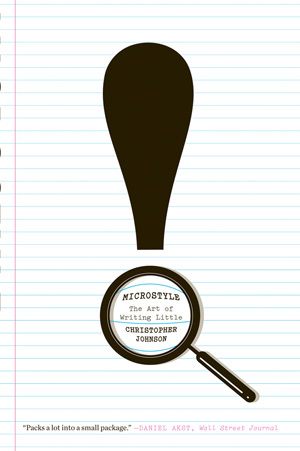 Your guide to this new landscape, Christopher Johnson reveals the once-secret knowledge of poets, copywriters, brand namers, political speechwriters, and other professional verbal miniaturists. Each chapter discusses one tool that helps short messages grab attention, communicate instantly, stick in the mind, and roll off the tongue. Piled high with examples from corporate slogans to movie titles to product names, Microstyle shows readers how to say the most with the least, while offering a lively romp through the historic transformation of mass media into the media of the personal.